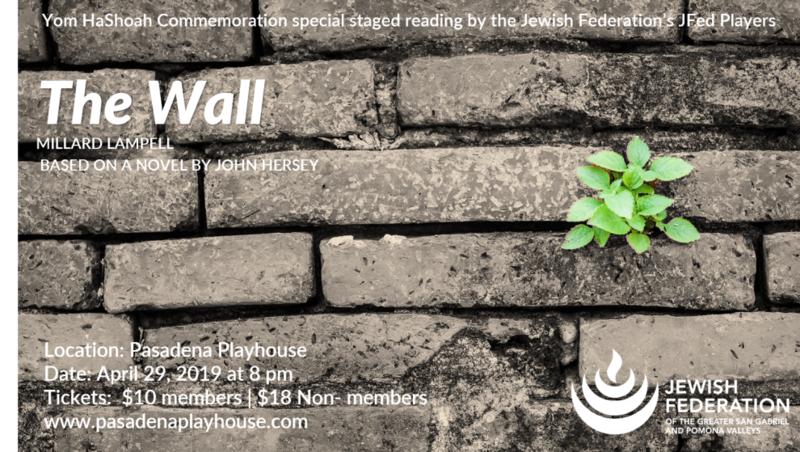 Pasadena Playhouse is proud to participate in the 2019 5th annual National Jewish Theater Foundation Holocaust Theater International Initiative - Remembrance Readings. This play reading commemorates International Holocaust Remembrance Day January 27th and week of Yom HaShoah (Holocaust Remembrance Day) May 1-2 and honors the victims and survivors of the Holocaust. Our collective goal is to keep alive their memories, stories and its must-never-be-forgotten lessons. May the power of live theater serve as a moral compass for future generations.